You’ll often hear timber homes referred to as either post-and-beam or timber framing. The difference has to do chiefly with the method used to fasten the frame’s complex joinery system together. A post-and-beam home employs metal fasteners, which are either hidden behind the timbers or face the interior. A timber frame uses only wooden pegs to secure the frame’s joinery. 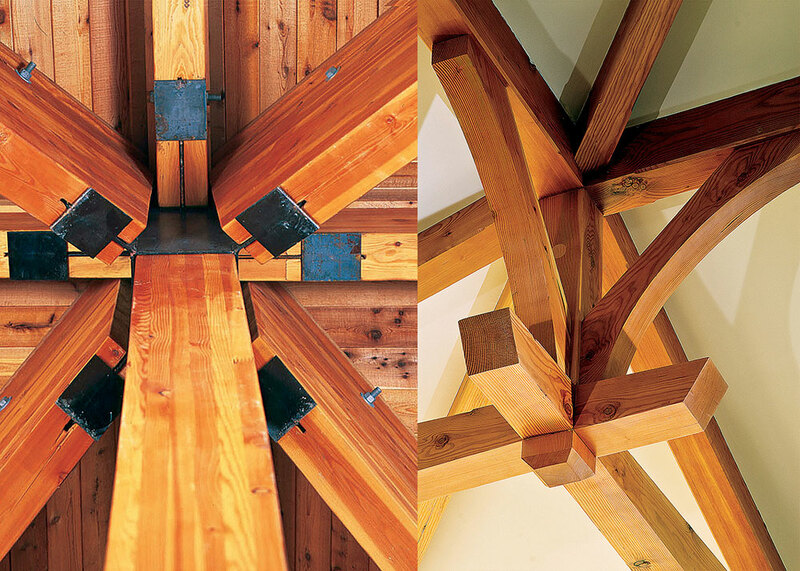 Whether you choose post-and-beam or timber frame, each style, and variations within each category, will determine the look and feel of your home’s interior.